More lovely romper patterns for babies! A few days ago I shared a series of cute baby romper patterns and promised you I would be back with some more. So this is it! 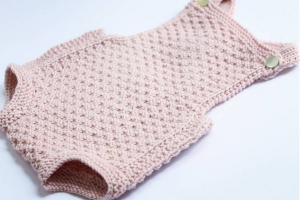 This lovely girly romper by OGE Knitwear Designs is so sophisticated! And the great thing is, it’s actually a 3 in 1: the pattern includes the romper, the little A dress and the matching bolero. How great is that? 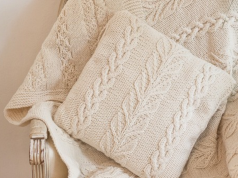 All 3 pieces have the same delicate leaf pattern and can be knit in 3-6, 6-9 or 9-12 months. The designer included photo schematic for the neckline. Click here for more info. 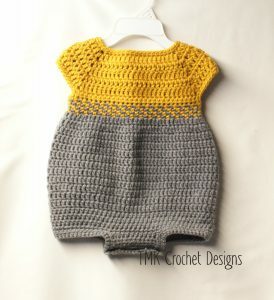 This cutie from TMK Crochet Designs includes 3 sizes: 0-3, 3-6 and 6-12 months. You can find it here. I like the rounded shoulders and the buttons between the leg openings (easy nappy changes, yay!). OK. 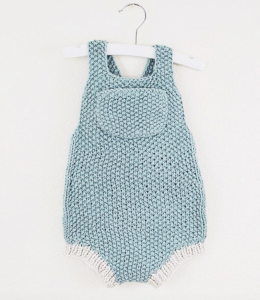 I don’t know about you guys, but I love a good seed stitch and this minimalistic summer romper is rocking it. 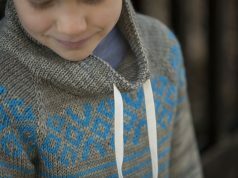 I’m officially adding it to my need-to-knit list. I’m loving the chest pocket, too. That pocket needs a mini softie [note to self: post a compilation of the cutest, a-do-ra-ble-est softies patterns]. So anyway, the straps fasten at the back with big buttons and can be crossed -or not. 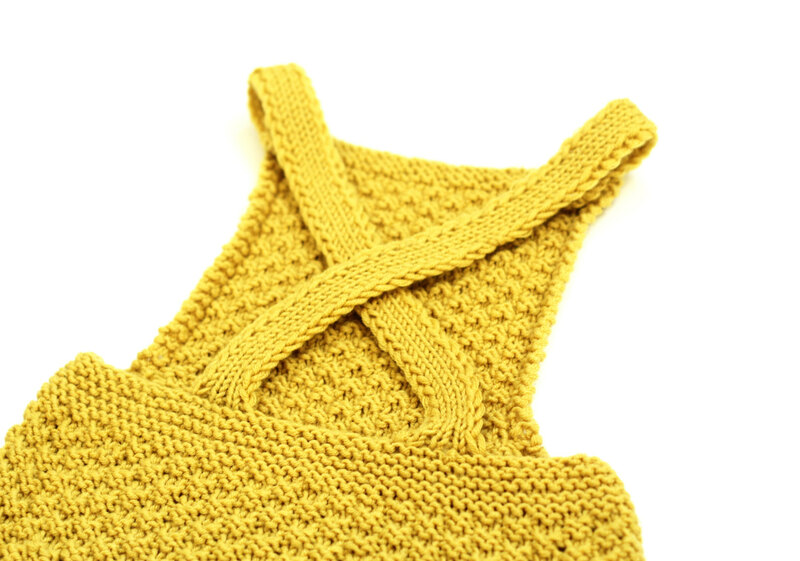 You’ll find the pattern here, available in 0-6, 6-12, 12-18 and 18-24 months. 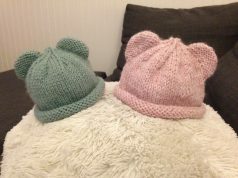 You know, I sat at my computer tonight hoping to share a bunch of new gorgeous baby patterns with you, but I realize I really have to get more efficient with all the pictures/links manipulation. I always spend AGES trying to link everything correctly so that you guys can find every pattern easily, so much so that tonight, after a good 3 hours, this post is all a have to show for. But brace yourself: once a get a hang of all this HTML crap, I’ll be unstoppable!